With over 8,500 square feet, our Mellwood Avenue shop provides room to organize and execute proper restorations and repairs. This facility provides a safe workplace for your furniture, our craftsmen, and the environment. The building on the left houses our showroom, upholstery department, and offices. The larger building on the right was built specifically for furniture restoration. It contains our stripping, wood, and finishing departments. FINISHING ROOM: Our Finishing room allows us to apply a variety of durable finishes to your furniture. 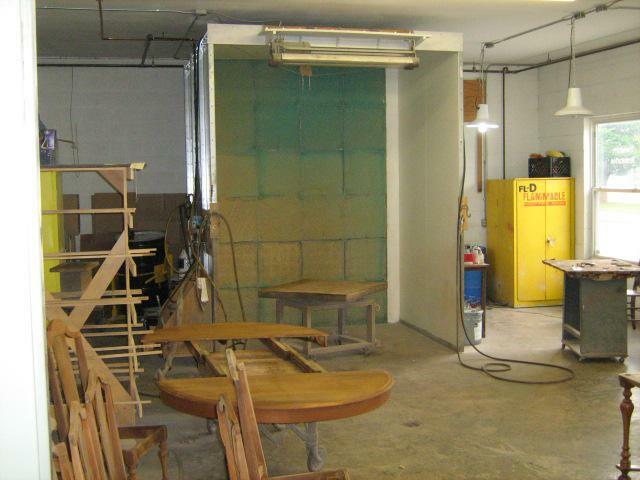 This separate room provides our finishing craftsmen with a clean and safe environment to apply finishes. Large windows along the eastern wall supply natural sunlight for proper coloring. 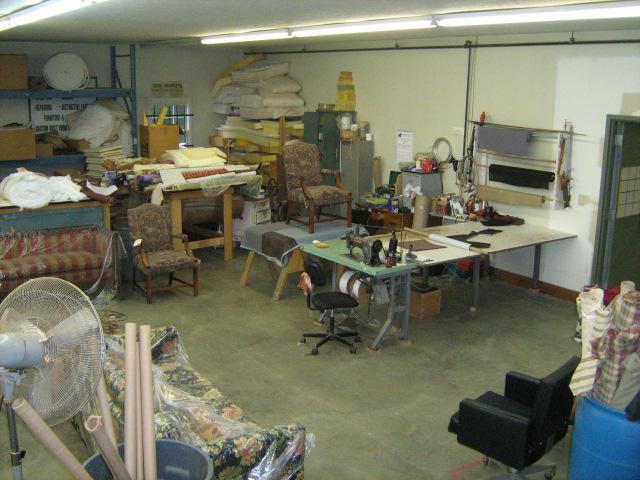 UPHOLSTERY ROOM: Excel Shop offers both upholstery and wood restoration at one facility. We are able to prepare furniture frames and finish for upholstery. Our upholsterers have the room, equipment, and skill to produce fine upholstered items.